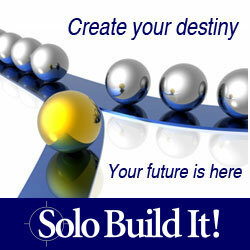 In December 2008, I created this website using Site Build It (SBI), a comprehensive website business creator. I haven’t always kept up with it, sometimes going months at a time without getting a chance to write a single post. What I have done though is I’ve followed the steps they laid out for me to create quality content to generate traffic to my site. I’ve been astounded at how successful that’s been. I’ve loved giving advice about creativity and life ever since elementary school. When I didn’t become immediately famous right out of college (no surprise there with my penchant for laying around the house that first year :)), I was worried that my ideas would never make it out of my brain. When I stumbled on personal development and when I read about SBI, I figured I’d give it a shot. For $300, I’d have a year of my domain and site hosted, along with website creation software, keyword research tools, and a big community of people who had “been there before." Despite occasionally leaving my site alone for months at a time, the power of SBI has been extremely active. After having an active site for about 14 months or so (and working on it hard about 8 of those months), I average 157 unique visitors every day, visiting 287 times in total, and hitting up 472 of my pages per day. I have high hopes in the future that with a lot of work, I can continue to build the site in traffic (imagine if I’d worked hard all 14 of those months :)) and that Build Creative Writing Ideas can be my number one source of income. If you’re interested in doing the same, in having passive income that you set up a foundation for and just let it work its course instead of being part of the rat race, this program could be for you. There are several extreme success stories of Site Build It users earning six figures a year and getting tens of thousands of people per day to their site. This is not a get rich quick scheme but more of a get rich slow plan. My goal is to have 1,000 people a day to my site by the end of 2010. With Site Build It in my back pocket, I think that it can and will happen. Find out more about Site Built It! on this website. If you want to learn more about building a website, try SBI! eLearning. If you just want to sell your users on Solo Build It, try joining their affiliate program. Done with Site Build It?